Red-haired, freckle-faced Ollie Jolly is a comical kid. Whenever folks look in his jolly face, they can't help but laugh. Just seeing Ollie Jolly makes them merry. But not everyone likes Ollie. The class bully and a tough-as-nails teacher make his life less than ideal. 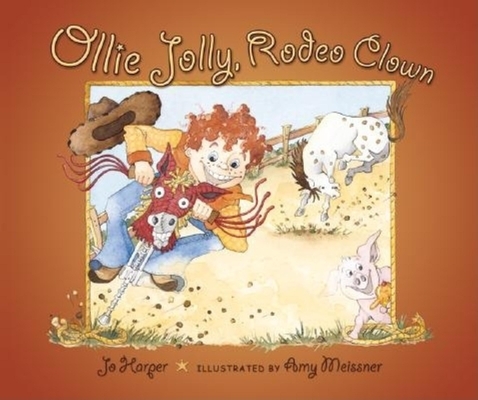 And when mean Miss Tut Tuttle assigns the class to write about what they want to be when they grow up, Ollie is plumb rattled A wild face-off with a menacing bull helps Ollie decide on his future occupation. This delightfully silly story will charm adults and children alike, while the lively, lighthearted illustrations bring Ollie and his pals to life for young readers.